Wiseco was happy to oblige when contacted about contributing to another dream bike. 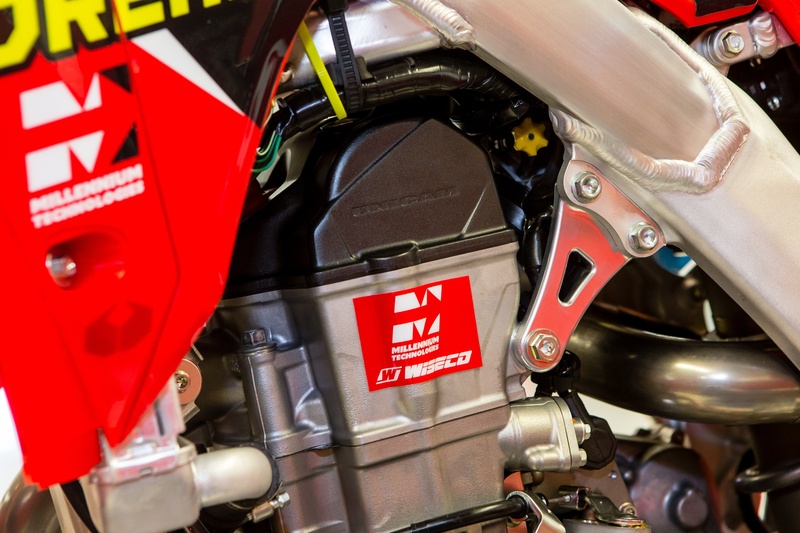 The Honda is equipped with a Wiseco Racer Elite piston, a full billet, asymmetrical, high-compression piston designed to meet the needs of any racer willing to push the Honda to it's limits. Boyesen and Honda are headlining this giveaway, not only bringing the complete bike as a grand prize, but also bringing awesome individual prizes each month! Wiseco will also be giving away a Racer Elite piston kit one month, whether it be 2-stroke or 4-stroke. The Honda is equipped with a Wiseco Racer Elite piston, but you also have a chance to win a Racer Elite piston kit during one of the monthly prizes. The 2018 Vital MX Dream Bike Contest lasts 4 months, leading up to the Grand Prize drawing to be held on July 12th, 2018. In addition to the Grand Prize drawing, each month one winner will be randomly selected to win some of the best aftermarket and gear products available today. All monthly and grand prize winning entries will be announced on Vital MX’s Facebook and IG accounts. All you have to do is head over to vitalmxdreambike.com and fill out the appropriate information to be entered to win. This will automatically enter you to win the grand prize, and the monthly prizes. Be sure to check out Vital MX's original post for the full list of components and companies involved in this giveaway build, along with the monthly giveaway prizes, and more awesome photos of this beautiful bike!